Evgenia Pilyavina, pianist, was born in Kiev into the family of professional musician and began her piano studies at the age of six. Together with her family Evgenia then immigrates to the United States in 1989 and continues her studies at the Manhattan School of Music. As a winner of the First Annual Chopin Competition (New York), she was the first recipient of the Louis Leibowits Scholarship. She is also a recipient of the Sheldon Smith Piano Award. Her other awards include the 1997 Artists International Special Presentation Award which resulted in her New York recital debut at Carnegie Hall’s Weill Recital Hall. As the soloist and chamber musician Evgenia has performed at such prestigious New York’s venues as Alice Tully Hall, Steinway Hall, Merkin Hall and Weill Recital Hall as well as Tarpon Springs Music Series in Tampa FL, Chopin Council, presentations in Miami, French Embassy in Washington DC, Rockefeller University Concert Series, Barge Music and Tzavta Music Series in Tel Aviv. In collaboration with her husband, renowned violinist Sergey Ostrovsky, she has given numerous concerts in the United States, Israel, Sweden, Switzerland and France. Eugenia Pilyavina is a founding member of “Barton” piano quartet which made its international debut at the Cervantino International Festival in Mexico in October 2015 with critical acclaim and live broadcast on the Mexican National Radio. Mrs. Pilyavina has participated in prestigious summer festivals among which are: AIMS ( Solsona, Catalonia), Gotland Chamber Music Festival (Sweden), Kfar Blum Music Festival ( Israel), Recontres Musicales Internationales des Graves (Bordeaux, France), Fete de la Musique and Pulplinge Classique (Geneva, Switzerland). She was featured at the Swedish National TV broadcast alongside with famous Swedish Pianists Staffan Scheja and Roland Pontinen, performing Rachmaninoff’s Valse and Romance for 6 hands. In summer of 2015 during her participation at the Festival Recontres Musicales Mrs. Pilyavina performed European premiere of the Violin -Piano Sonata of the Russian composer Anton Tanonov together with Israeli Violinist Evgenia Epstein. Eugenia actively collaborates with opera singers. She has given numerous concerts and recitals accompanying among others such singers as Polina Pasztircsak – 1st Prize winner at the Concours de Geneve 2009, Julliette Galstian – winner of Viotti and Jullian Gayare Competitions and recipient of the Maria Callas Grand Prix in Athens, Marriam Sarkissian, belcanto mezzo soprano- recipient of the Golden Orpheus of the French Academie du Disque Lyrique and in collaboration with mezzo soprano Varduhi Khachatryan, a winner of numerous vocal Competitions among which are International Competitions Liege, V. Bellini and Montserrat Caballe. Eugenia has premiered Four Last Songs of Richard Strauss transcribed for voice, piano and violin dedicated to the 150th anniversary of the composer. It was performed in Grand Salle de Conservatoire de Geneve and later on at the Grand Theatre de Geneve. Eugenia, alongside Varduhi, has also participated in a few performances of the “Viva Callas” concert series -a project dedicated to the memory of the great singer Maria Callas. The next concert of the series will take place at Carnegie Hall New York in fall of 2016. Mrs. Pilyavina maintains an active teaching career. Many of her young piano students have become laureates of different competitions, to name a few: Concours International de Piano named after Alexander Scriabine in Paris, Rondo Festival in New York, Flame Competition in Paris, Concours Suisse de Musique pour la Jeunesse in Switzerland, AADGT – International Young Gifted Musicians Festival in New York. Mrs. Pilyavina is a graduate of the Manhattan School of Music. She holds a Master’s Degree in Piano Performance. 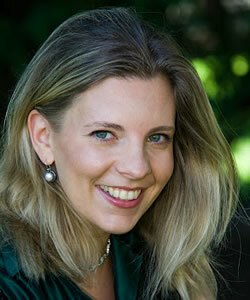 At the present time she is a Piano Faculty member at the United Nations International School. Mrs. Pilyavina is also a founder of the association called “50 nuances et couleurs de son”, a charity organization which deals with organizing concerts of classical music in art galleries in different parts of the world to support both rising young stars and renowned classical musicians.